When did you come along to the Corona Academy, and what did you like best about it? I went to Corona Academy in Prague in December 2017. My intention was to get the Primary Instructor Certification in order to start the Spanish Corona Workshop training project, and to be able to transfer the official information from Prague to all Spanish-speaking countries. 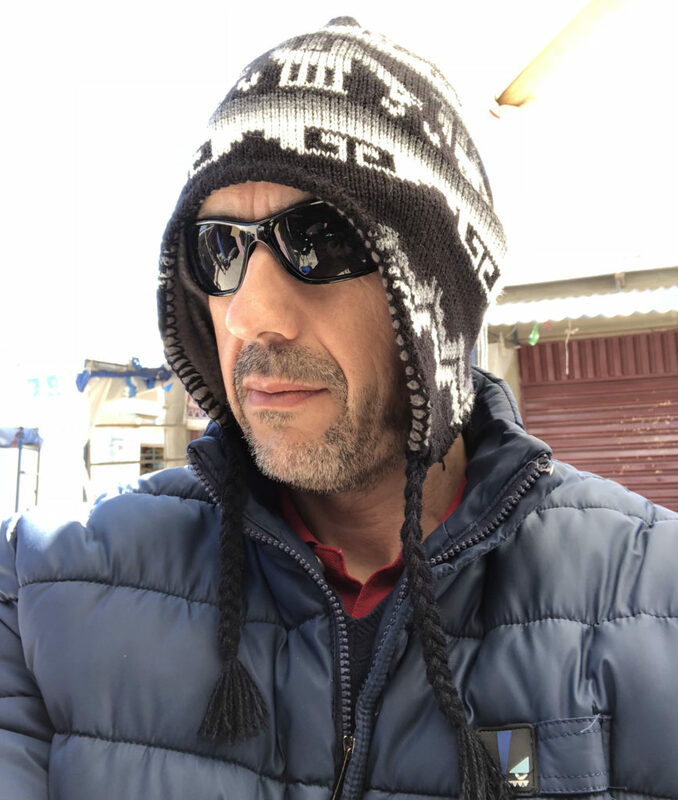 I have been administrating the Facebook group “Hablamos Corona” with users from all over the world, and the demand for official training in Spanish is continuous. It’s the second most spoken language in the world as a mother tongue, just below Chinese, with about 500 million Spanish speakers and 21 countries where it is the official language. Regarding the Academy, going to Prague was an amazing experience, both personally and professionally. The training quality is outstanding. While it is true that just two days may sound like a short time, they are enough to understand the philosophy behind the engine. Being able to speak with Ondrej, Marcin or Thomas is a real luxury since they are Corona Renderer. You also have to realize that Corona Academy does not end when you leave Prague – that’s the moment where it all starts. You return home with a treasure, the book “Art of Light” and a lot of learning material. This documentation is the future foundation of the training we can then go on to teach. How many countries have you visited since getting your Primary Instructor certification? So far this year (2018) we have already visited four countries: Mexico, Peru, Bolivia and obviously, Spain. We have conducted 8 workshops so far. In September we’ll visit Barcelona in Spain and Cuenca in Ecuador. In October we’ll go to Bogotá in Colombia and back again to Mexico City. By the end of 2018, we’ll have conducted around 12 workshops in total, certifying more than 200 students (a combination of users and instructors). Instructors are very important because in each country we have now have several Certified Instructors, and they are a seed that we are planting for the growth of Corona. In Peru and Mexico, and soon in Bolivia, these Instructors have already organized their own certified official courses. That’s one of the keys, many of those attending the courses have been our students via our online courses, but the certification is another important step that students demand. Whenever someone wants to carry out an official training in a city, they contact me and we see what the possibilities are for that location. I don’t care about the number of students, I’ve conducted workshops with just a few to a great many students, for example from only 3 in Gijón (Spain) to 36 students in Barcelona (Spain). What matters is that students can receive official training for Corona Renderer in the place where they live and in their language. Having an engine that is stronger every day is the key to having more artists using it every day. 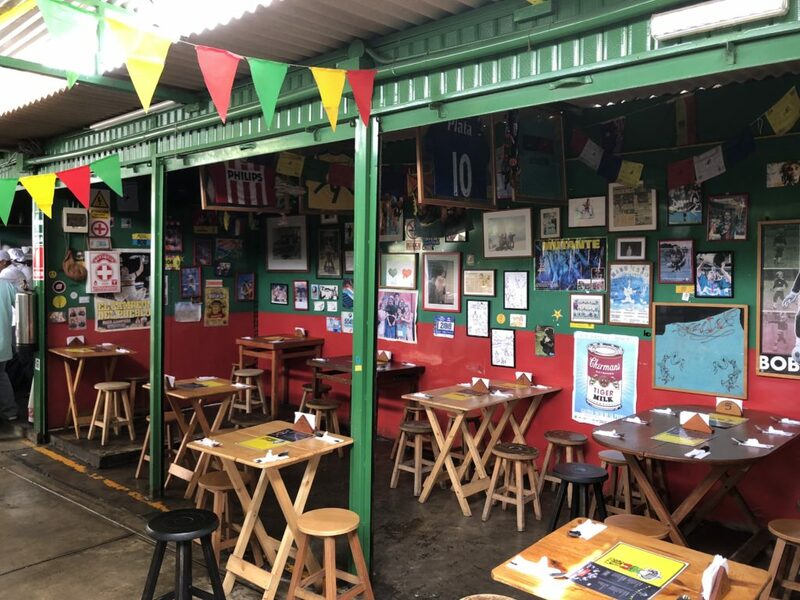 What’s been the most incredible (or most amusing) story from any of your visits? There have been many incredible stories, it is difficult to name only one! One of the things that surprised me the most is the effort that people make to attend the training. In my first workshop in Monterrey (Mexico) I got up at 5 a.m. to review the whole agenda. Not that I didn’t know it well, but the day before I met several students who came to the course and some of them had traveled more than 2,000 km and another had taken a 12 hour bus journey just to attend the workshop. Mexico is a country with a per capita income lower than in Europe, which means that many people are investing a whole month’s salary in order to attend the Workshop. It’s a huge economic effort from them, and that’s a great responsibility for me; that’s why I give it 200% in every Workshop! 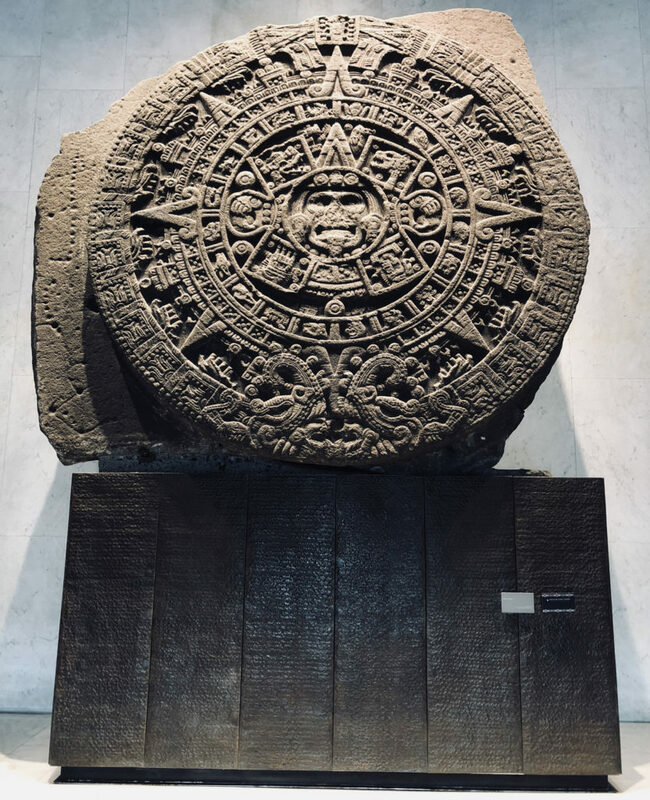 In Madrid for instance, the workshop was attended by three students from Mexico and one from Venezuela who could not attend the Mexico workshops. I also remember that the Malaga workshop in Spain was attended by a girl from Romania who lives in Switzerland. These students have to be sure that the training is first class and we can’t let them down. The truth is that I have enjoyed it a lot, I remember that when I did a workshop for instructors in Mexico City, they took me to watch some wrestling which was an incredible show. 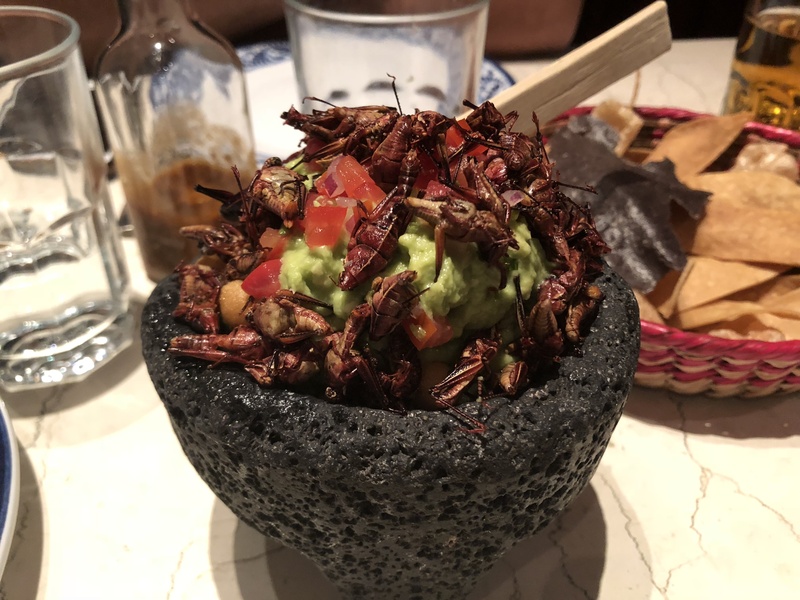 Regarding meals, in Monterey I tried Chapulines with guacamole and in Cochabamba (Bolivia) I ate roasted guinea pig, which turned out to be quite delicious. Without doubt the one thing I will not forget is the affection of all the people. Every time I arrive in a country, there is a student waiting for me at the airport or train station to show me the city. In Bolivia and Peru, I actually had to buy another suitcase to bring back all the gifts and presents they gave me. In Bolivia, one of my students, Winder Raúl Flores, took me to visit the Salar de Uyuni, one of the most incredible landscapes you can see on our planet. Bolivia is an amazing country, the only small inconvenience is the headache that you get because it is 4,000 meters higher than most of the cities I visit. Then there was the time when I left the airport in Cochabamba, on Monday after the workshop, and there were four students there to say goodbye. It’s incredible, when you leave a place that treated you that well, it’s impossible not to shed a tear. Any differences you’ve noticed traveling from country to country? When I travel to the workshops outside Spain, on the Fridays before the Workshop I always organize a meeting with 3D artists from different countries. 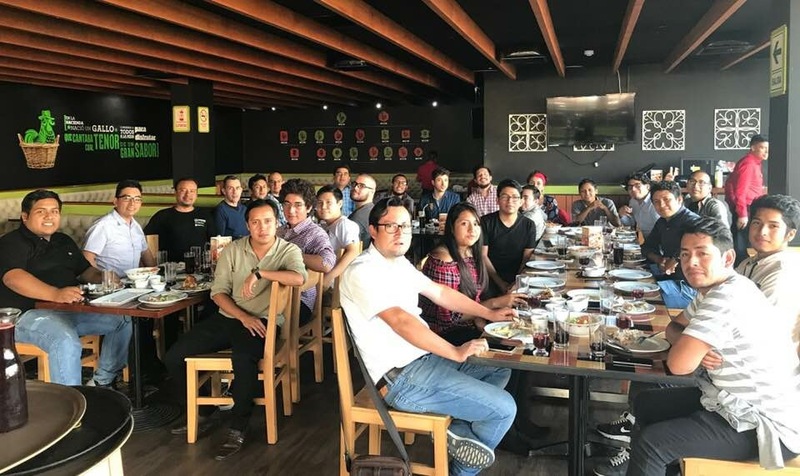 In Lima, students came from Ecuador, Peru, Chile, Bolivia and Spain, all of them united by the same link: Corona Renderer. This gives us a unique opportunity to share work experiences because issues with work are very similar, but the solutions are different in each country and that is very enriching. In total, students from 10 nationalities have attended the workshops: Mexico, USA, Spain, Romania, Peru, Chile, Ecuador, Bolivia, Colombia and Venezuela. You’ll be speaking at Renderit 2018 in Mexico – tell us a little about what your presentation will be about? Renderit is the most important 3D visualization event in Latin America. When they invited me to attend as a speaker, I did not hesitate for a second. This one is not a workshop, but conferences to discuss general topics of the Archviz industry, and the topic that I have chosen is how a 3D consultancy company, like my own Seña Paula, works. It’s a different business model that seeks the continuous improvement of 3D companies through actions and changes in their workflow, organization or financial workflow; training and investment are necessary to achieve this. For many years, I ran one of the most important CG companies in Spain and now it’s time for me to share that experience. Regarding the improvements in workflow, my thoughts on Corona Renderer are very clear. I am implementing it in many companies due to its philosophy of simplicity and quality. 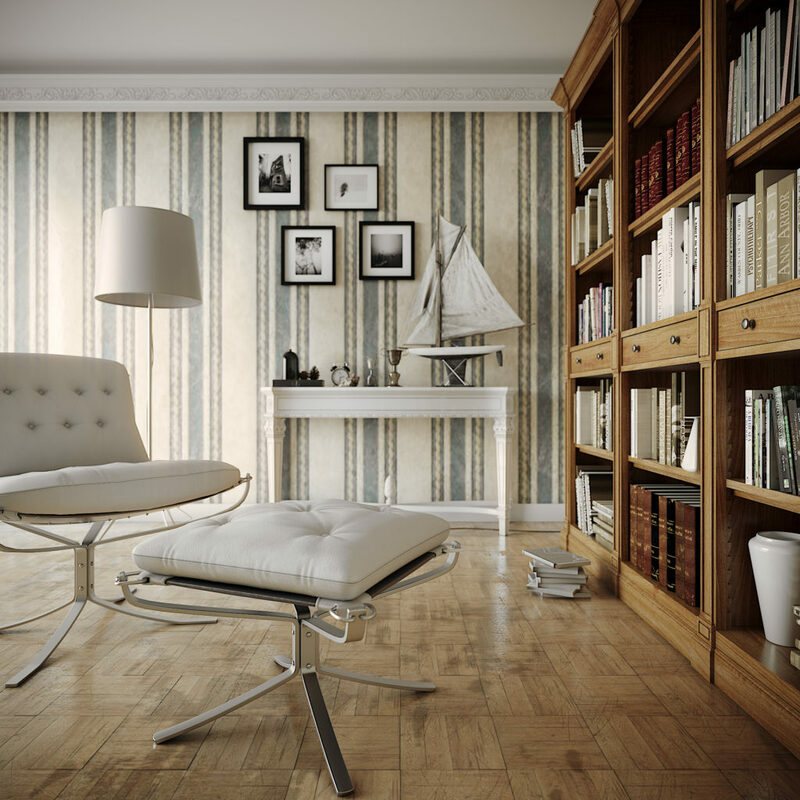 There are many engineering, construction or furniture companies that want to implement an internal 3D department. 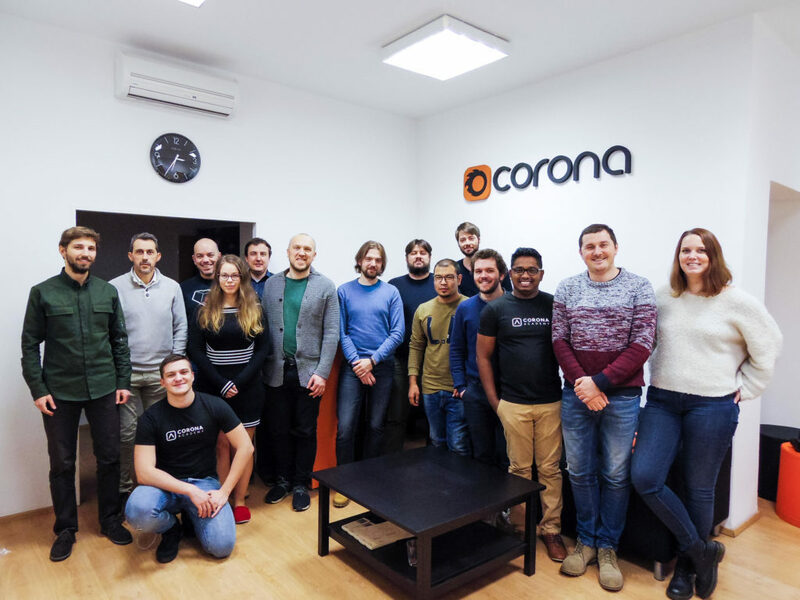 There is no problem when this work starts from scratch and they are just starting their own internal department, but when we are advising companies that already work with other engines, we must first explain why we think that using Corona will benefit them. It’s important to understand that Corona arrives in a market in which an engine such as V-Ray has dominated for many years, and that’s exactly the key. We are not at the service of the rendering engines – they are at our service. It’s not a question of arriving at a studio that has been working for 10 years in one way and telling them that from now on Corona will replace V-Ray. It’s about understanding that everybody can work with both engines and integrate them perfectly in the same workflow and decide, on each project, which one to use. You’ve already done a lot since you first came to the Corona Academy, but what are your plans for the rest of 2018 and beyond? At the moment this year we are going to finish with the Workshops that we already have planned, and before the end of the year there will be some other cities added. 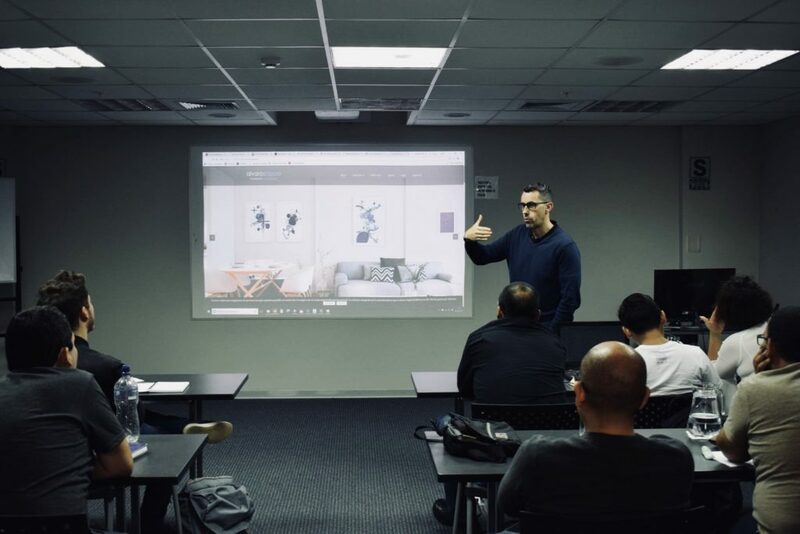 After that, we are not going to stop, because for 2019 we have several very interesting training projects planned: we are going back to several of the cities that we have already visited to run a Corona Renderer workshop focused on animation and post-production. 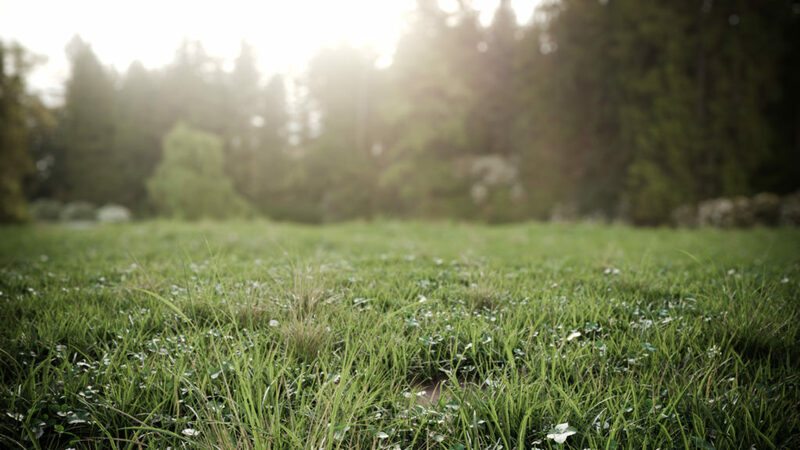 We want people to lose their fear of working with 3D animations, especially in the case of Corona Renderer, which is very simple to set up and use. 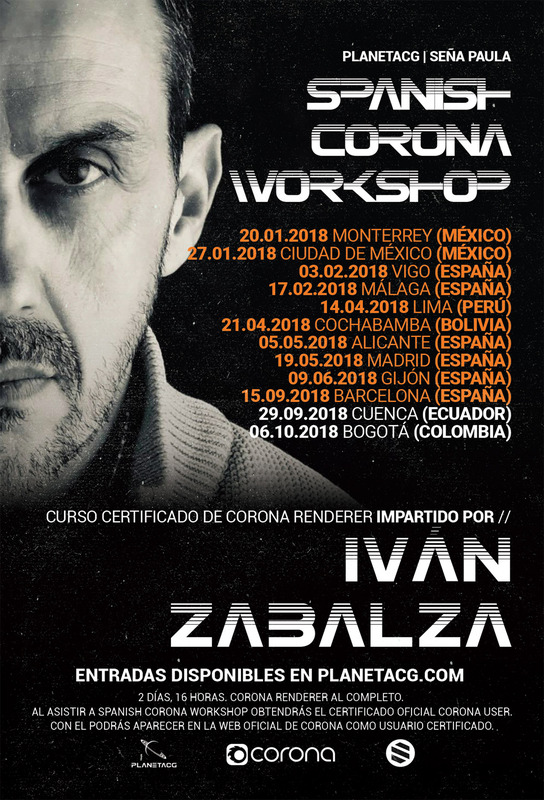 We will be creating this workshop for that, and the idea is to repeat all the appointments for this year because we understand that it’s like a second part of the Spanish Corona Workshop. From November 2018, I will be giving face-to-face classes at the BDVFX Academy, a Chaos Group Authorized Training Center, forming part of the faculty along with artists such as Alex Roman, Javi Martínez, Juan Altieri and Jaime Jasso. We are also going to do a workshop called Render Chaos. 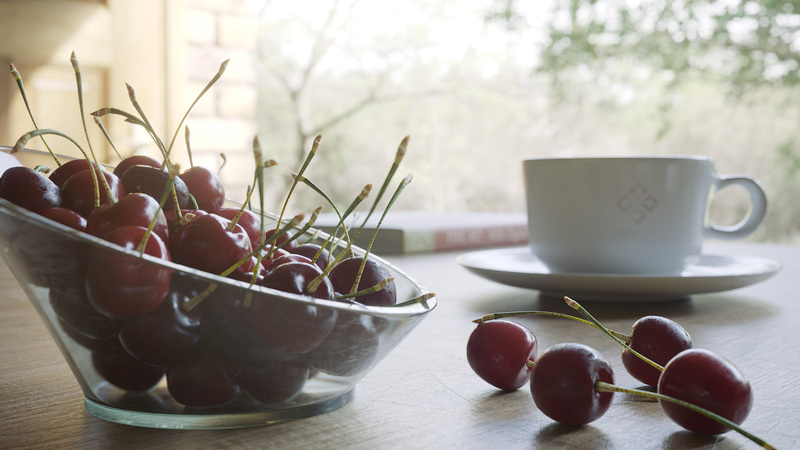 This will be an advanced training workshop for Corona Renderer and V-Ray Next. It’s based on the same logic we discussed before: a studio can work with both engines, even in the same project. The two renderers are brothers, the integration of both is advanced, and will only improve further in the future. The aim is that students will learn which engine is the most useful for any particular project, or which parts of the project are best suited for Corona and which for V-Ray Next. For example, we can imagine a project in which the exteriors will be made with V-Ray and the interiors with Corona. For this project we have two V-ray Mentors, Javi Martínez and Juan Carlos Jiménez “Anypixel” who is also a Corona Primary Certified Instructor. Also in 2019 we will start to support Cinema 4D users who want to work with Corona Renderer. From what we have seen so far it is very similar to the 3ds Max version, but there are some differences in creating materials. Ultimately the idea will be to certify C4D users. This is the key to continuous improvement, to have the humility keep learning. If one day I get out of bed thinking that I know everything, that day will be the end of me as a 3D artist! Outside of teaching (if there’s any time outside of that! ), what are you working on in 3D? Some time ago I decided to focus solely on training, so I almost do no 3D production any more. I do still keep a few strategic clients from the construction, engineering and furniture sector, so I do still do some production from time to time. I believe that all trainers have to remain active in the area they teach and to see the realities of day-to-day work in our industry. I also believe that it is important not to become a trainer that explains exercises with boxes and teapots, which is far from the reality of daily work. I like to use real projects in my training because they show the real problems and solutions from the industry. In addition to that, as a result of my travels to Latin America I met a 3D modeling company and I have started to sell some 3D model libraries. This is a project we started this summer and we already have the first three libraries live, with a lot more planned. To sum up, I would like to say that the Corona Renderer online courses that we have created for the PlanetaCG training platform are constantly updated every time a new version is released with its new tools or maps. It’s a course that is always alive and it does not become obsolete. This year we are also going to launch a new interior modeling course with 3ds Max since several students have asked for it, so keep a look out for that! Thanks for reading, and I look forward to meeting you at one of our Workshops! There is someone who can help me with a photoshop file to understand how to do a post production of a render done with coronarenderer to get excellent results ,,,,,,,,, greetings Maurizio ..
It’s unlikely you will get any response here on the blog 🙂 Best thing to do is to post on our forums (https://corona-renderer.com/forum/) or on the Facebook groups (e.g. https://www.facebook.com/groups/183831411996004).